First Time Families - Getting Ready for Camp. This is going to be GREAT! Welcome! We are so excited that you will be joining us this summer! We want to make getting ready for camp as uncomplicated as possible, so we have designed this page for families joining us for the first time! Many pages on our site explain about camp: meals, cabins, activities, etc., but what you need to know as a first time family branches out further than just the "campy stuff". Read this page to help you navigate the things that First Time Families need to know most when coming to Cub Creek. We're here to help! Setting Your Camper up for Success! Don't worry if you encounter a little nervousness about your first time experience with camp. We understand cold feet and nerves! As a matter of fact, we believe that those feelings can help make the best camp experiences even more outstanding. It feels great to overcome a fear and conquer your first sleepaway camp, or a new camp in general. We know, however, that there are steps that both parents and future campers can take to be ready for camp and reduce pre camp jitters. Future Campers:	The best way to get ready for camp is to pack and prep! Use our packing list, when packing your bags for camp! This way you'll know you have everything you need, and exactly where you put things. Next, familiarize yourself with the camp map and our activity choices. If you know where things are and what we offer, you will feel more comfortable when you get here. Finally, follow what we're doing here at camp on social media! We post videos and pictures all the time! And if you have any questions about camp, give us a call, send an email or send us some mail! We love mail! You can send your questions to Cub Creek at 16795 State Route E, Rolla, MO 65401. And guess what? We will write back. Parents:	We know that you are reading all the pages on this website preparing for camp! And that excites us - keep doing it! But nothing is more comforting than talking to someone. So, give us a call at 573-458-2125, if you have any questions! Make sure your camper is involved in the pre-camp process as much as possible, the more they know, the more comfortable they'll feel about camp. Let them pack their bags (and you can rearrange if needed! ), take them shopping, let them read the packing list. Lastly, as you look across the site, it's our hope that you can see a glimpse of what your child will experience here at camp. We believe that camp is for all kids, and that it takes introverts, extroverts, loud, shy, high-energy and low-energy kids to make up camp. We've seen kids grow out of their shell, become bold enough to sing in front of the dining hall, become more compassionate, and have more independence from a week at camp. That experience is available for everyone who comes to Cub Creek. Paperwork is required to be filled out prior to any camper coming to camp, but most importantly, it helps us here at camp prepare for your arrival! 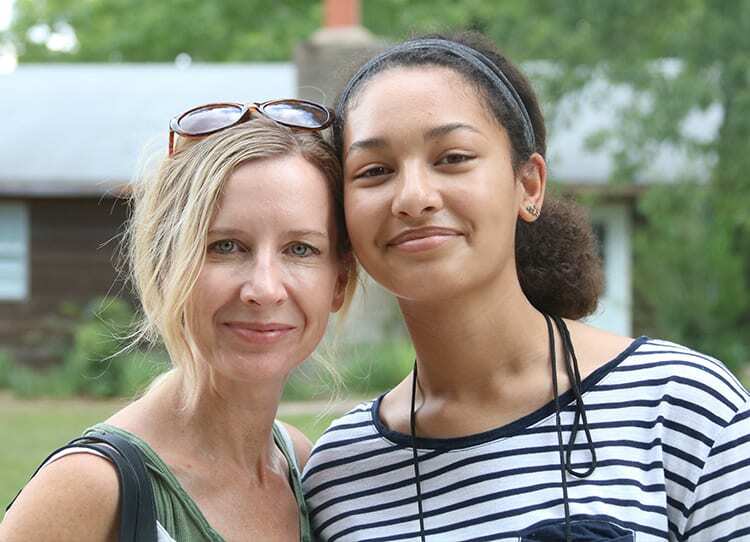 We want our counselors to be ready for their campers' needs, so parents filling out their paperwork and providing helpful information regarding their children is very helpful for a successful camp experience. Families that have not finished their paperwork, including submitting medical information, sorting medications, submitting insurance information, etc. are asked to complete it, before moving on with the check in process. To make the first day of camp as smooth as possible, please be sure all paperwork is completed on or prior to April 1st and before your camp session. If your camper is taking any medications, supplements, vitamins, etc., on a daily basis while with us at Camp, you are required to get a Doctor's signature on our Medical Form prior to camp (this can be found in CampDoc). Before camp starts, we send all families camp medication packets. These packets are used to administer pill medications at specific times to your camper. Please take the time to sort and fill your medication packets prior to camp and come prepared! When you arrive to camp for Check-in, you will speak with the Nurse and she will speak to you regarding your campers' medications. Having medications sorted and ready makes things move quickly and you can go on to enjoy the rest of check in! For all camp sessions, the first day of camp is the Sunday of your session. Check-in (also called "Drop Off") starts at 1 pm and ends at 3pm, the first Sunday of each session. Please allow at least an hour for check-in, in order to make your way through all of our stations. More important than the check-in process, we want to comfort families as they pack up and leave their camper with us for the first time. Sometimes, camp is harder for the parents! We have many things set in place that will allow you to stay in touch and enjoy the camp experience with your camper. We have a photo gallery that is updated multiple times a day by our dedicated photo team. They strive to capture every moment of camp and all of camp's campers. You can visit that photo gallery through Bunk1. This is the same place where you can write your camper emails. Over the years, we've learned a few do's and dont's when it comes to writing your camper, you'll find those below. ❖ DO – Send lots of mail! Campers love getting mail while they are away from home. Remember that snail mail is called such for a reason. If you want your camper to get letters through traditional mail while they are away at camp, consider putting a letter in the mail before your camper leaves for camp. This will best ensure that they get something in the first few days of camp. ❖ DO – Ask lots of questions. Ask about their favorite activities, new friends, and camp life in general! Asking questions will help prompt your camper to write back with answers. 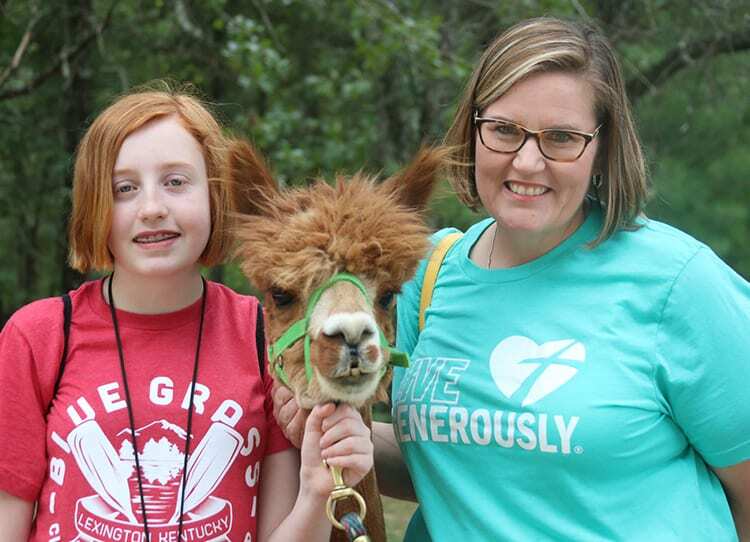 ❖ DON’T – Deliver bad news to a camper through a letter. If there is emergency information that needs to be communicated to your camper, please call the camp office and we’ll arrange for the best way for your camper to receive the information. ❖ DON’T – Go into detail about how much you miss your camper, or discuss all the fun you are having while your camper is away. This information can work to heighten feelings of homesickness. You can read more about keeping in touch with your camper on our Camper Correspondence page. Check-out or Pickup is from 9 am on the last Saturday of your session to 11:30 am. We hope that when you pick up your Child on the last day of his or her session, you can notice something special about them. Some parents note a smile, or just a little boost of confidence. On the last Saturday of your camper's session, they will be taking you on a tour of camp. Led exclusively by them! Please plan to come at 9 am and tour camp, meeting your camper's counselors and camp staff. We provide a lunch of the Check-Out/PickUp day at 11:30 am in our Dining Hall. When you've left camp it is our larger goal that camp has made a lasting positive impact on your child. Whether that is less time focused on electronics, a sparked passion, or more independence, we hope that your child's time at camp shows it's year long effects. And we would love to know what those things are! Please reach out to camp to keep us up to date with what your camper is up to and what changes you think you have seen. That kind of news means the world to us! For even more helpful information, visit our Parent Reminders Page. Here you will find information on everything relating to camp prep! And it's all in one handy place. This is a place to find links to the Parent Handbook, Paperwork, The Camp Photo Gallery, and more! Have an additional question? Make sure to check out our FAQ page. It's filled with questions we've gotten over the years from parents just like yourself - just click the button below!